Previously in the 12 days leading up to Christmas we shared some powerful words from 12 wonderful children in the hope that we could find sponsors for them. Over the past 4 years we have seen 48 children’s lives changed as a result; before this they were out of school, struggling for food and living in extremely impoverished conditions. The ’12 Days 12 Futures’ Campaign changed that. 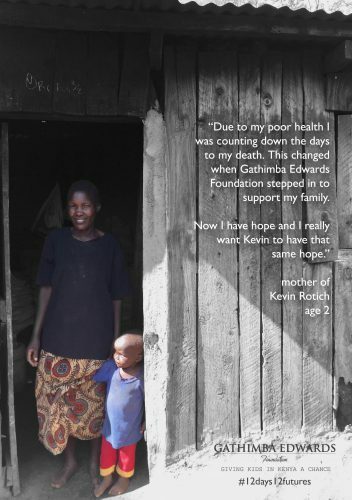 Thank you to everyone who made the Gathimba Edwards Foundation ’12 days 12 futures’ 2018 campaign possible!